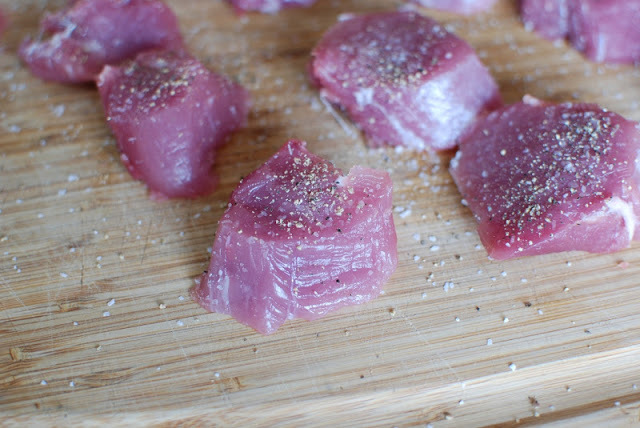 I rediscovered this recipe while searching for a simple, quick, but luscious dinner idea. 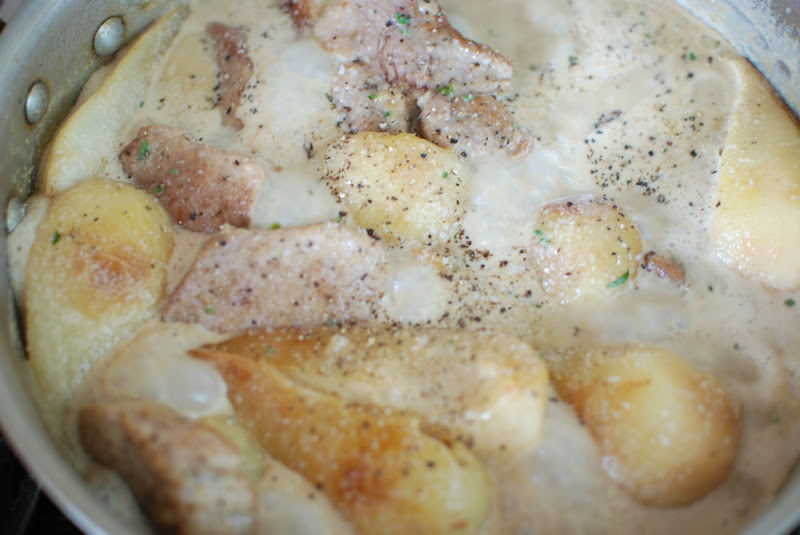 I made this dish over 7 years ago. 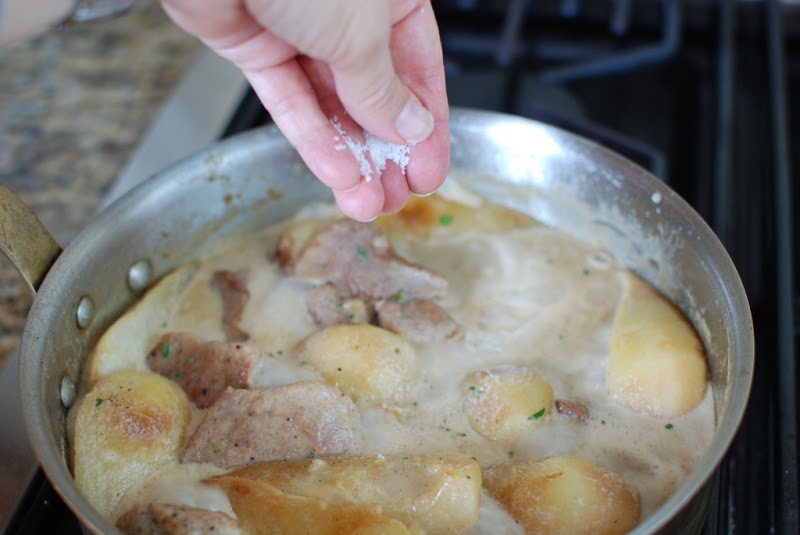 The sweetness of the sauce from the vanilla bean reminded my boys of the Lucky Charms cereal. The breakfast cereal by General Mills with the little marshmallows and the Leprechaun on the box? The commercial claimed they were “magically delcious”. So they titled the recipe Lucky Charms Pork.. 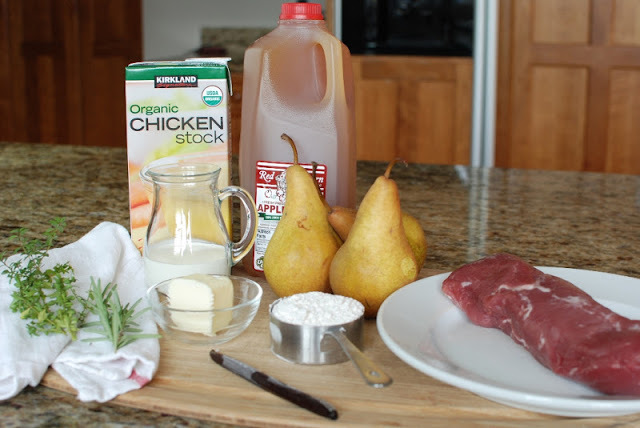 If you are looking for a quick and impressive meal, this is it. 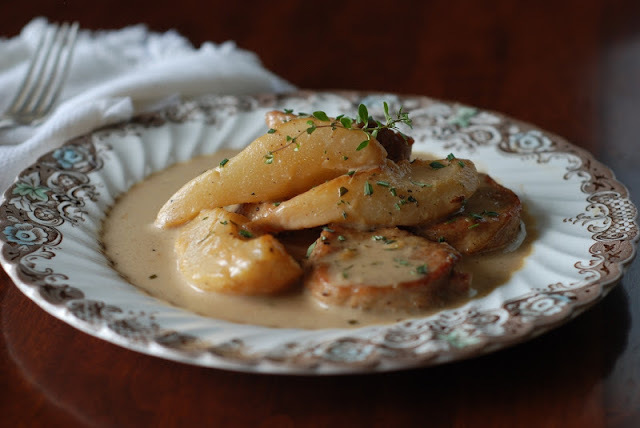 Autumn pears with pork tenderloin medallion’s are a perfect, no pun intended, pair. If you are not taking pictures of every single step of this recipe, I honestly believe that you could prepare it in less than 30 minutes. Really. Let’s begin. 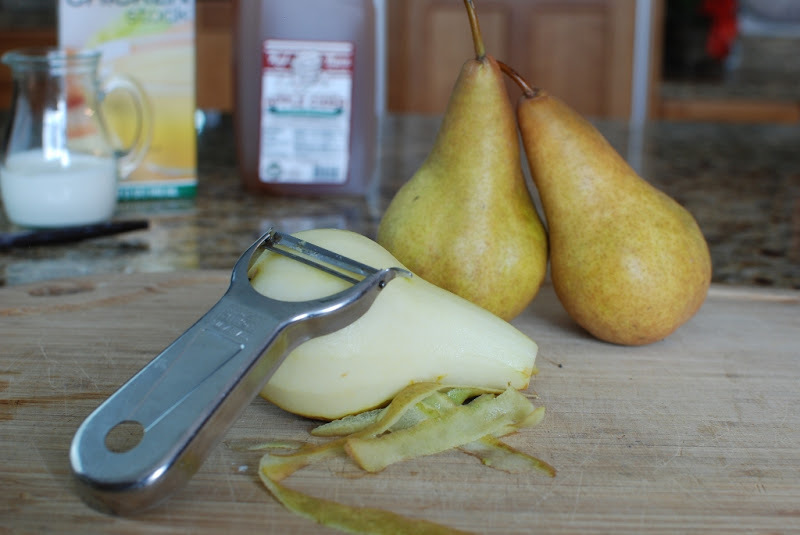 Peel the pears. Cut each pear in half. Remove the core. I use this little tool to ball melons. 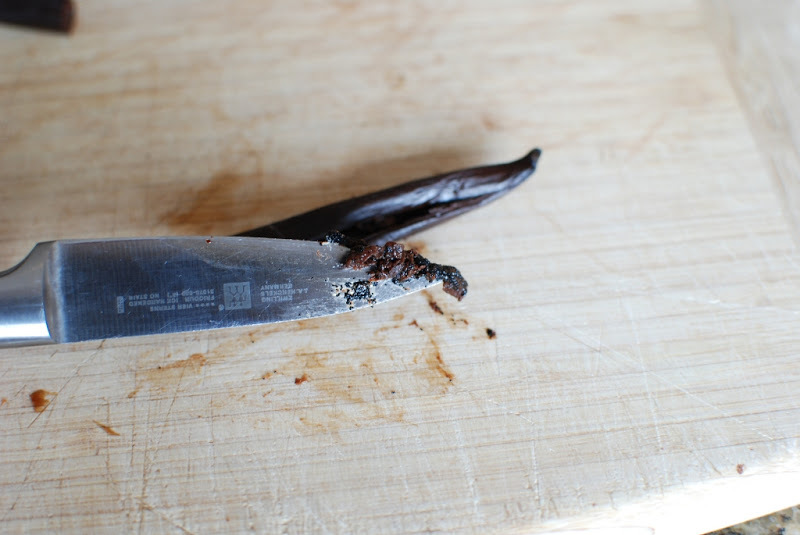 You can use a spoon. 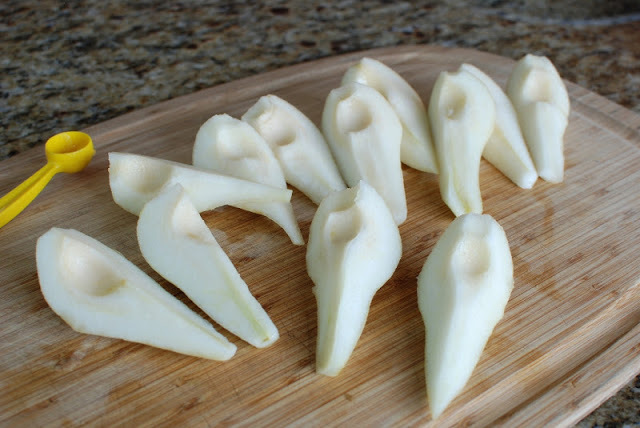 Cut the pears into quarters. 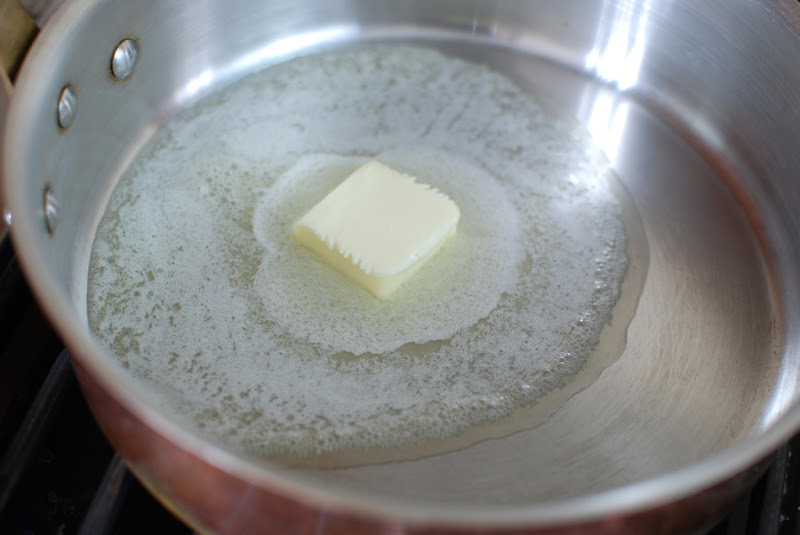 Melt the butter in a large pan or skillet. 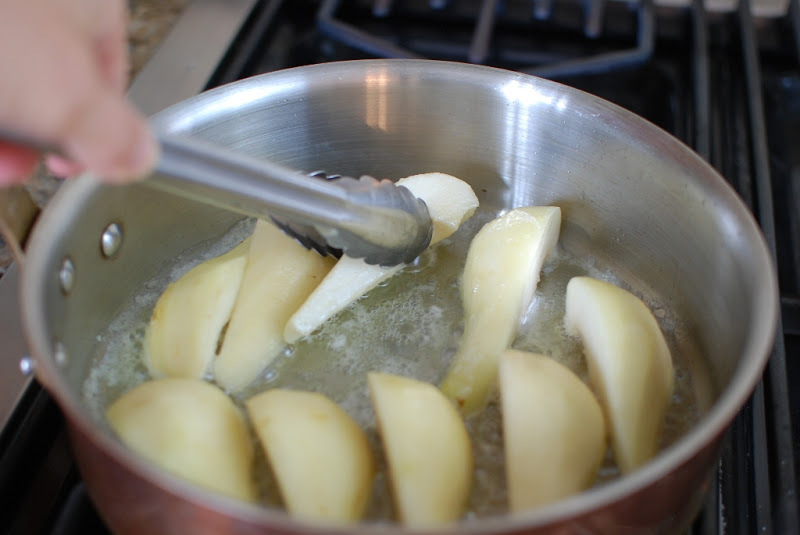 Remove the pears from the pan. 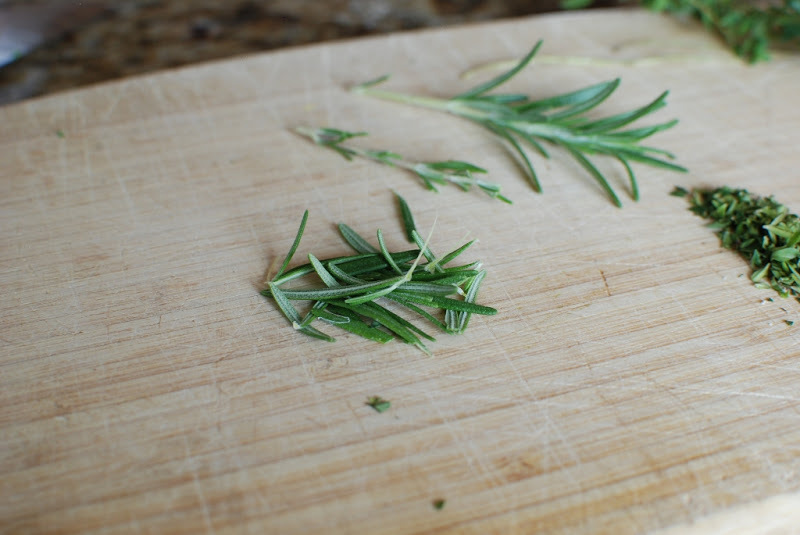 Place on a plate (accidentally deleted that photo) and set aside. 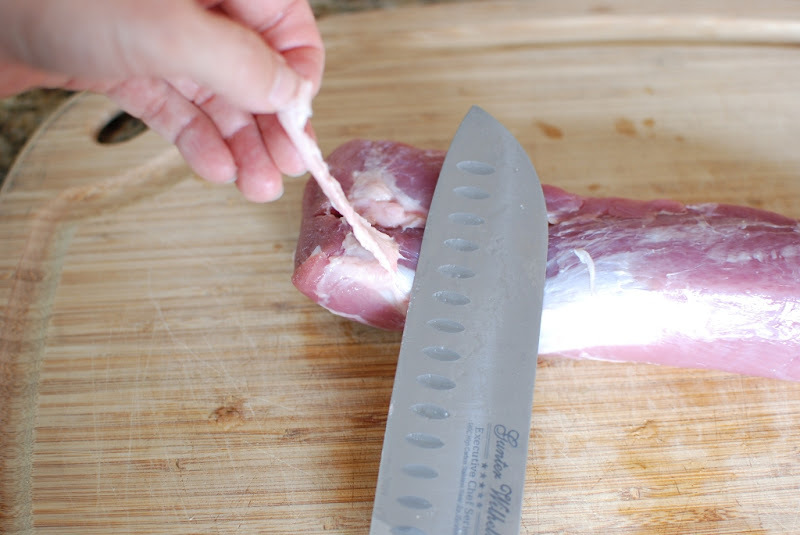 Make sure the pork tenderloin is well trimmed. 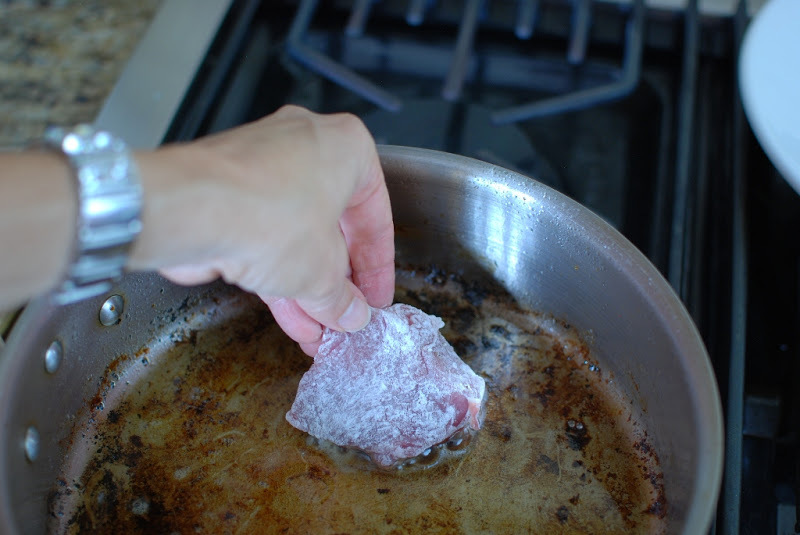 Remove fat or any silver skin that may have not been removed by the butcher. 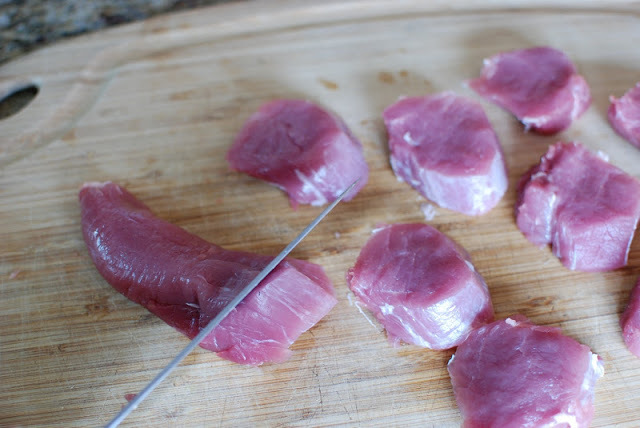 Slice the pork into 1-inch thick medallions. 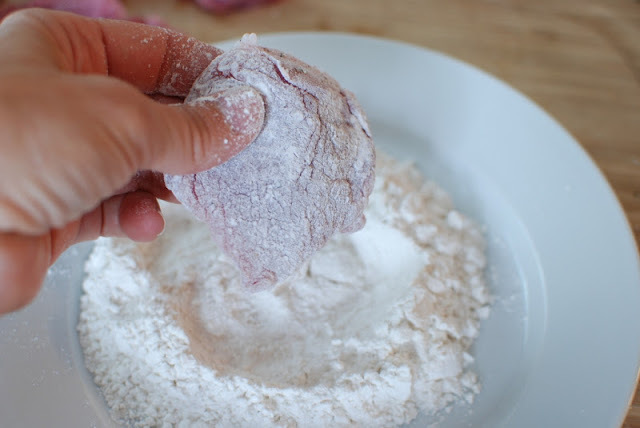 Put the 1/2 cup flour onto a plate and dredge each medallion into the flour. 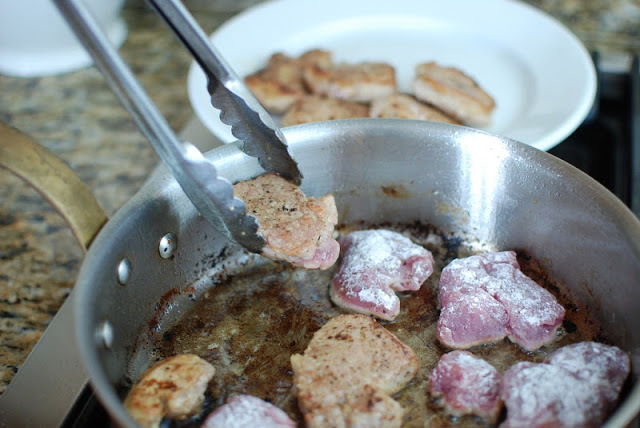 Add the pork medallions into the same pan that the pears were sauteed in. 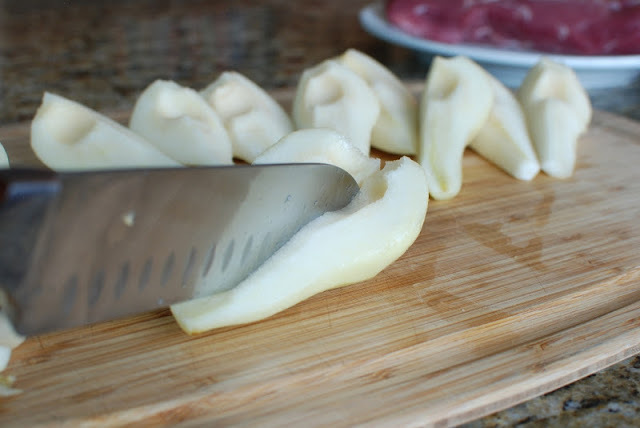 Cook for 2 minutes on each side or until browned on each side. 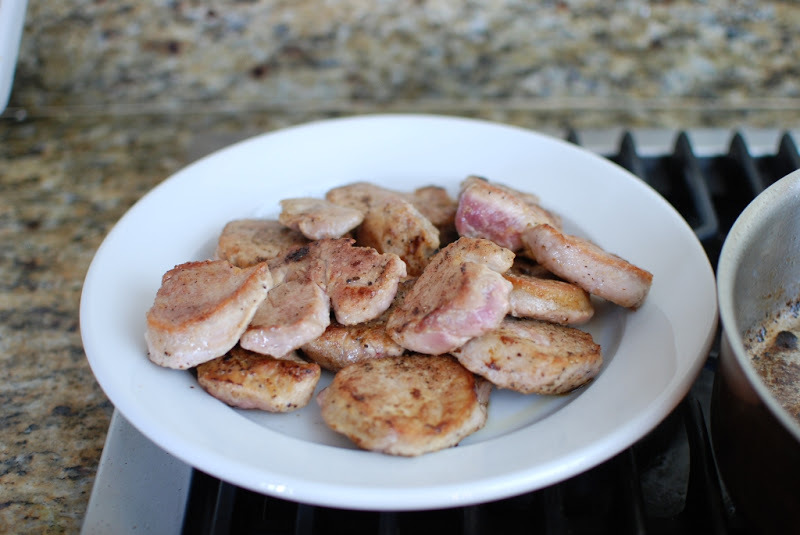 Remove cooked pork from the pan and place on a platter. Don’t worry if the pork isn’t cooked all the way through. 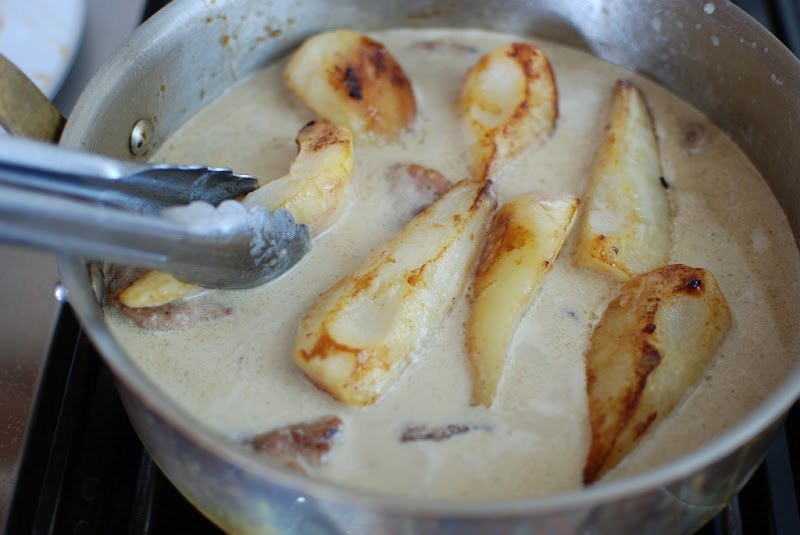 It will finish cooking when it simmers in the luscious sauce. 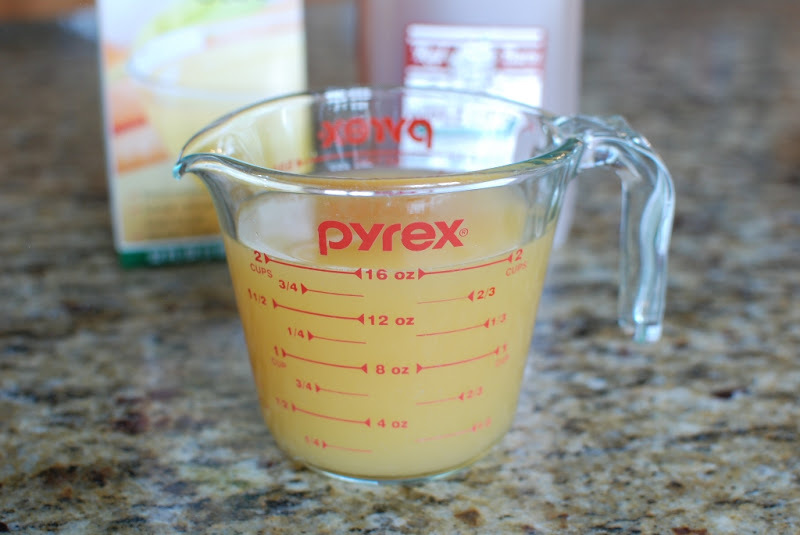 Combine 1 cup chicken stock and 1 cup fresh apple cider. 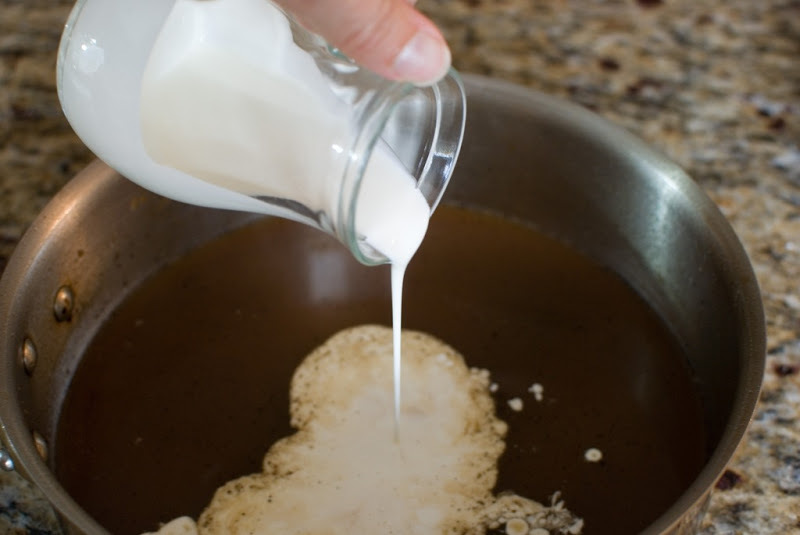 Pour into the pan. This will deglaze and the wonderful flavor bits that are there from the pears and the pork. 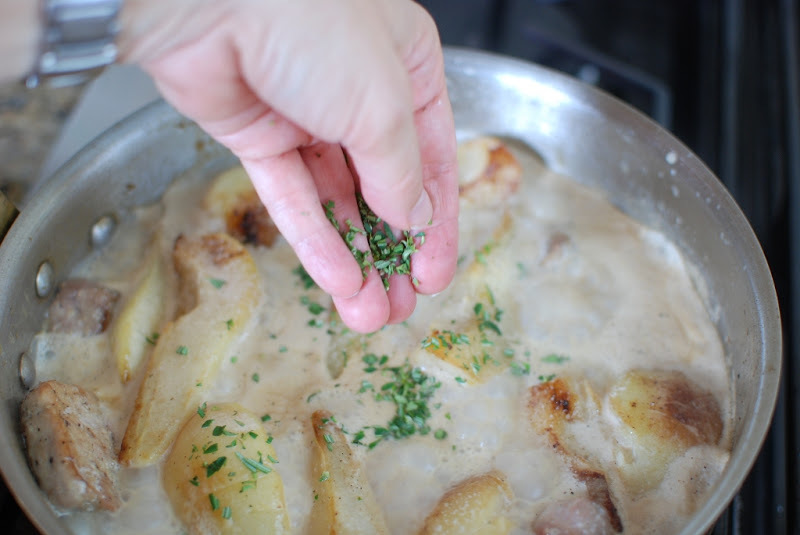 Stir the bottom of the pan well to make sure all of the flavor bits are removed from the bottom of the pan. This is an optional step, but I like to do it. 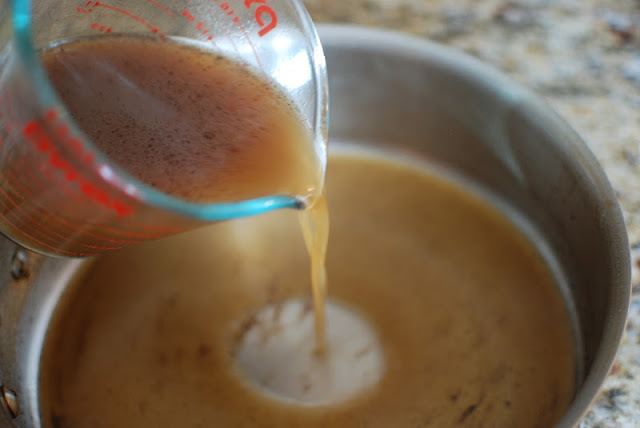 I want my broth to have the flavor of the browned bits, but sometimes the butter just burns a bit and I don’t want those black specks floating around. 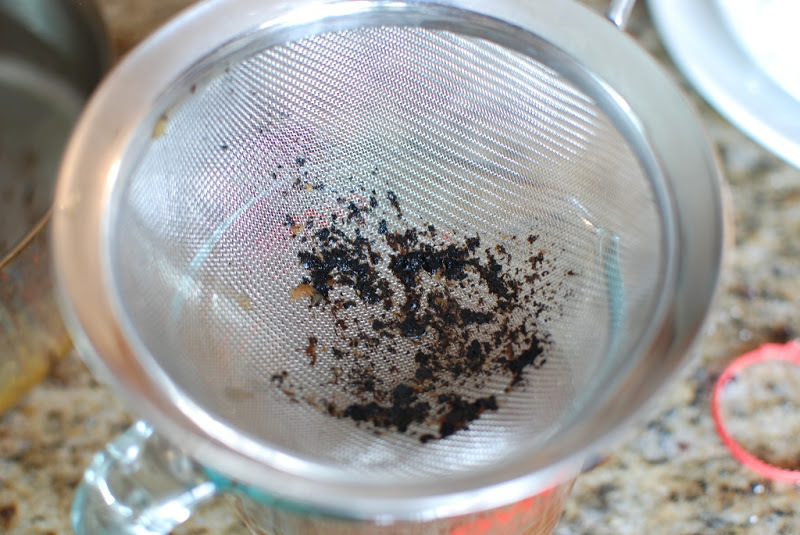 I quickly pour the liquid through a fine mesh strainer. 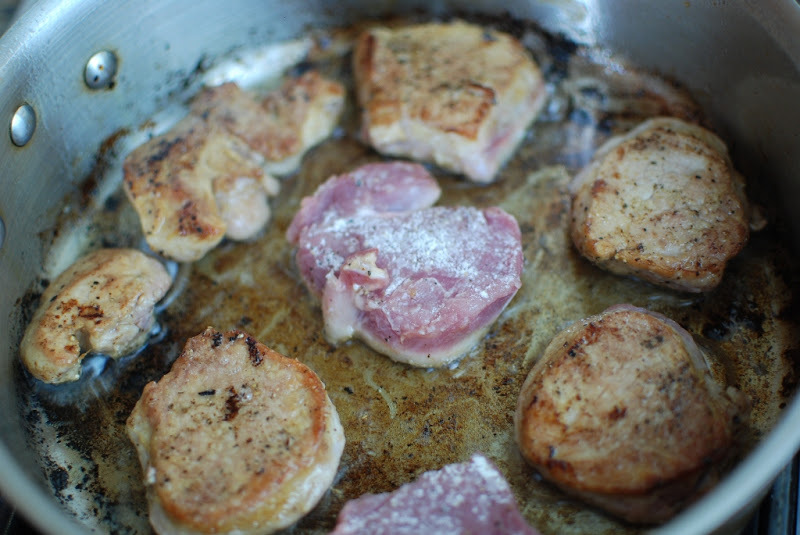 Then return to the pan. 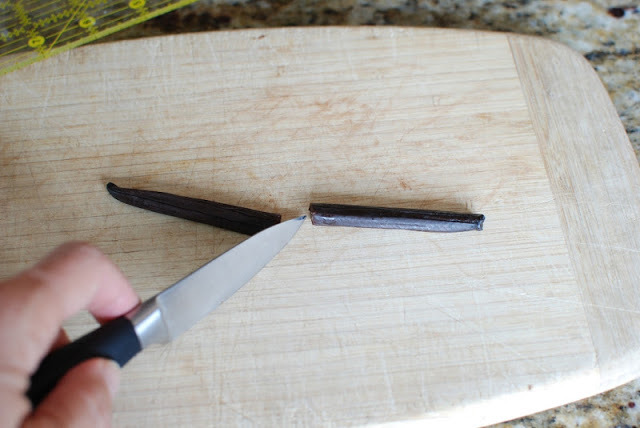 Look at this fat juicy vanilla bean. Direct from Tahiti. 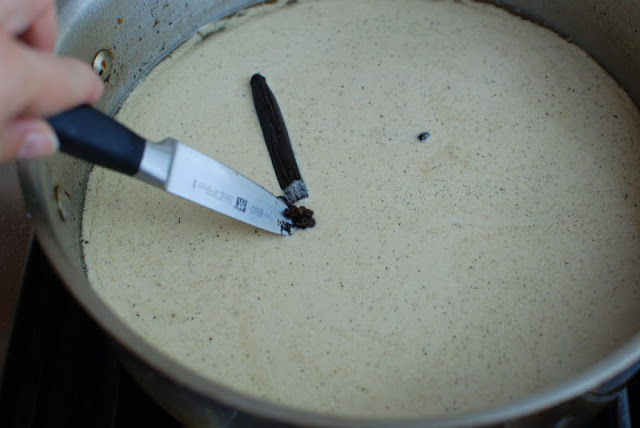 My parents were missionaries in Tahiti and brought back a literal “boat load” of vanilla beans. I put them in my “seal-a-meal” and placed them in my freezer. 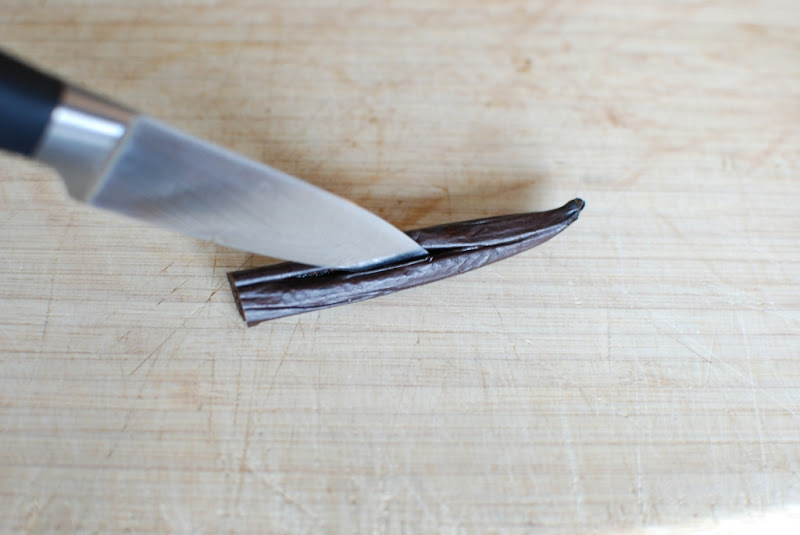 I have enjoyed fresh vanilla bean for a couple of years now. 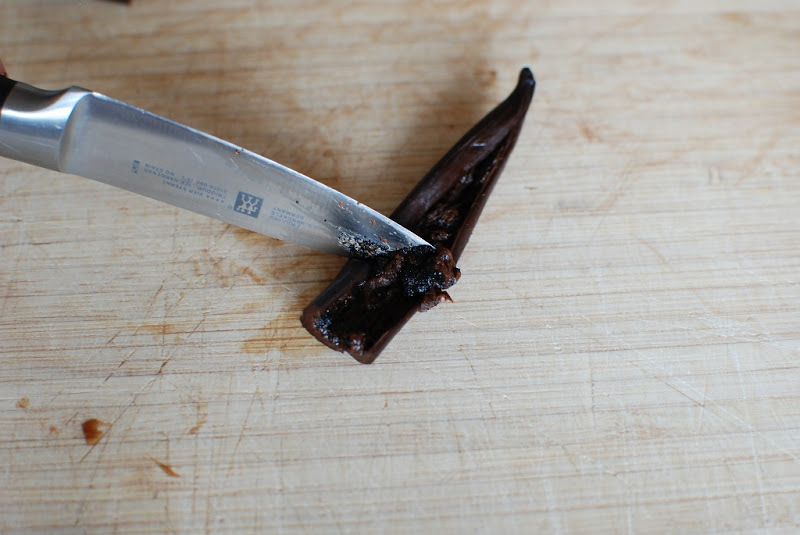 I think the whole bean would be a bit much, so I’m cutting it in half and place the other half into my vanilla extract jar. Go me! Take the knife and scrape out the zillion vanilla bean seeds. Are they called seeds? 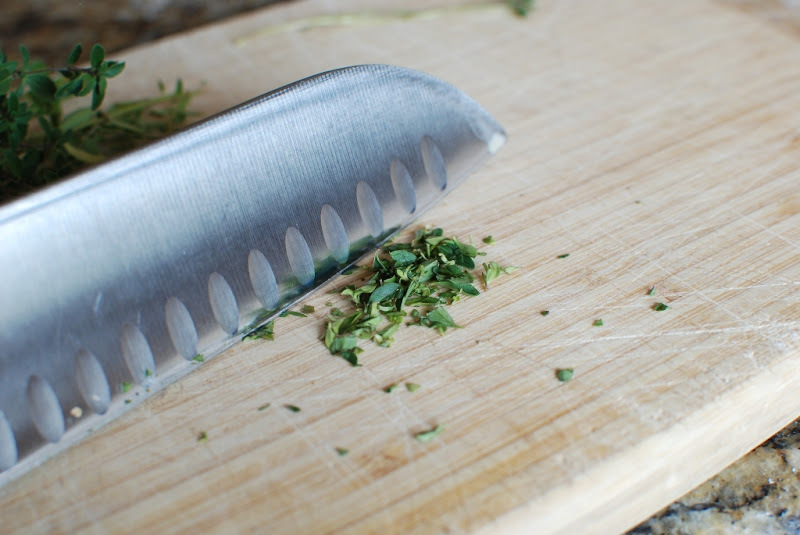 I’m not sure, but I do know they are full of flavor…BIG flavor. Add to the stock mixture. 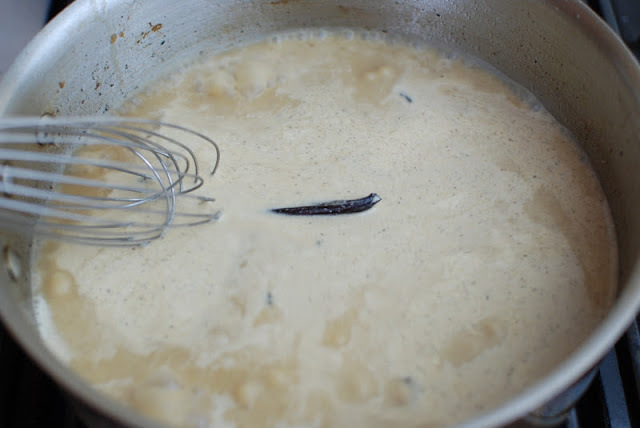 Of course, if your parents have not been missionaries in Tahiti and you don’t have a freezer full of vanilla bean, by all means just pour in a teaspoon of good vanilla extract. 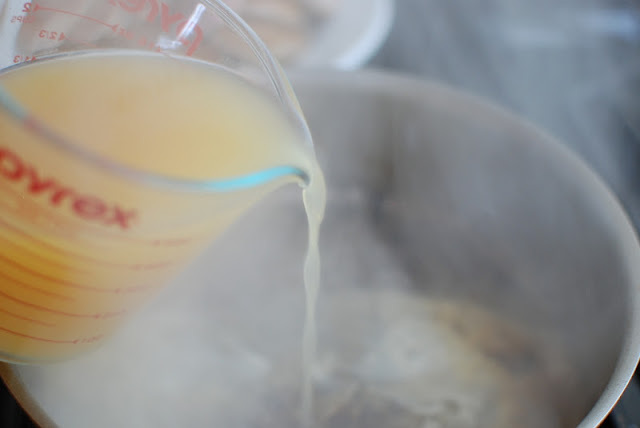 Bring to a simmer and reduce the mixture by half. Return the pork medallions to the pan. Along with the browned pears. 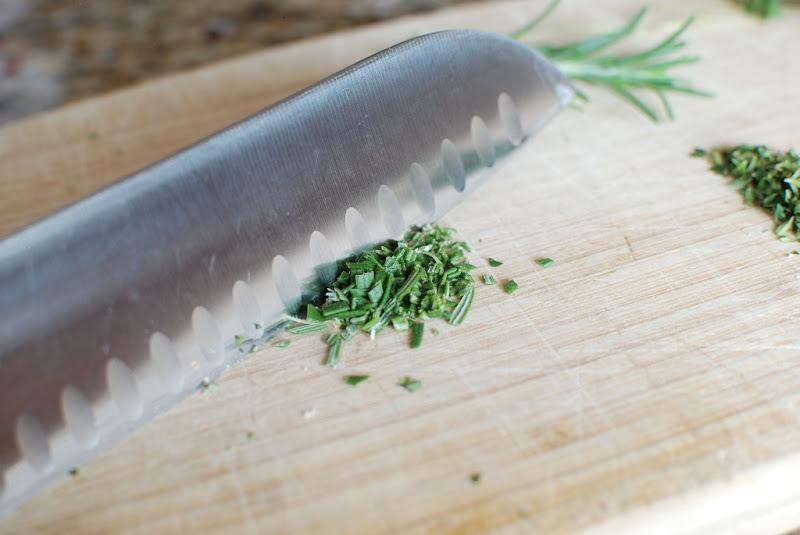 Chop the fresh thyme and rosemary. 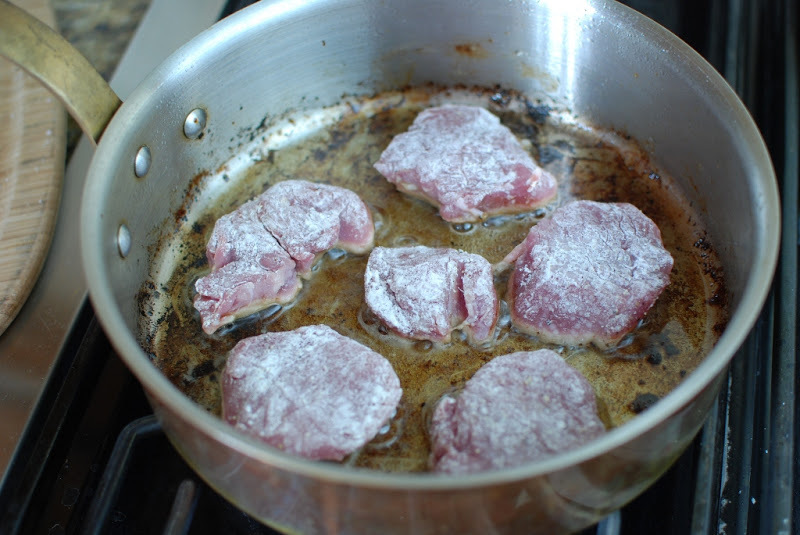 Add to the pan and simmer for an additional 4-5 minutes. 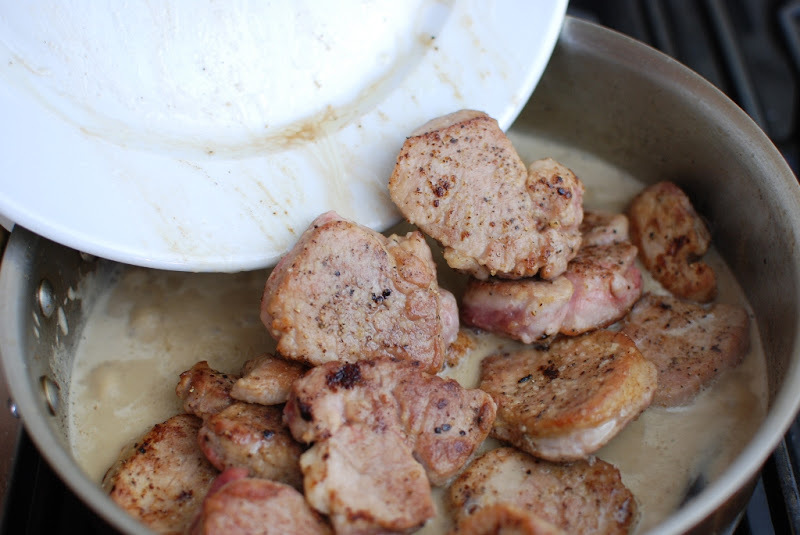 The sauce will thicken and the pork will continue to cook. Remove the vanilla bean. Kiss it good-bye. 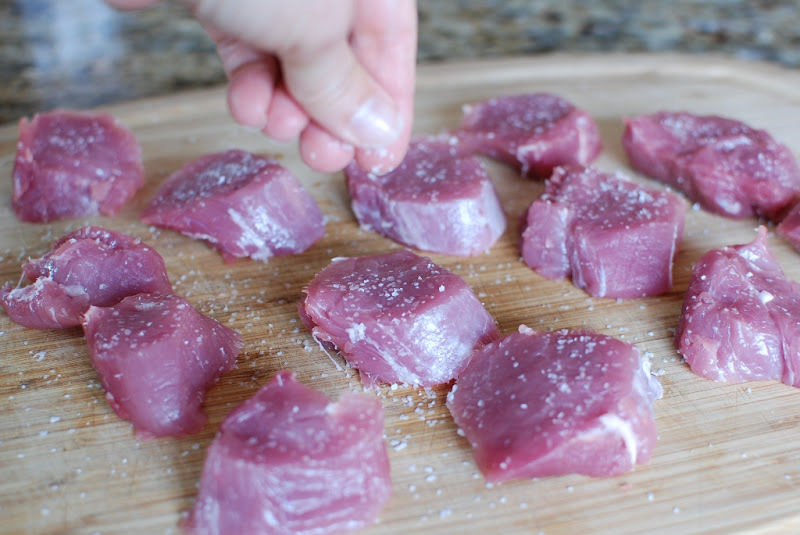 Season with kosher or sea salt. Don’t forget the fresh ground pepper. 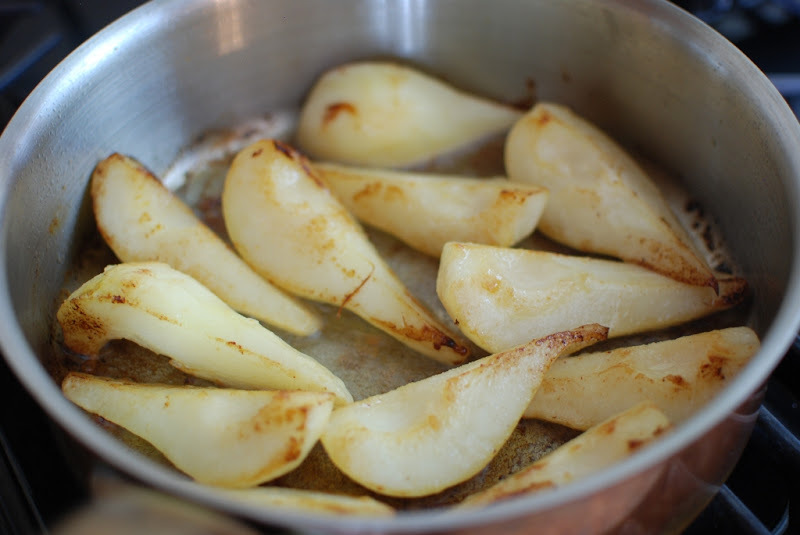 pears and sauté until lightly browned on all sides; remove from pan. 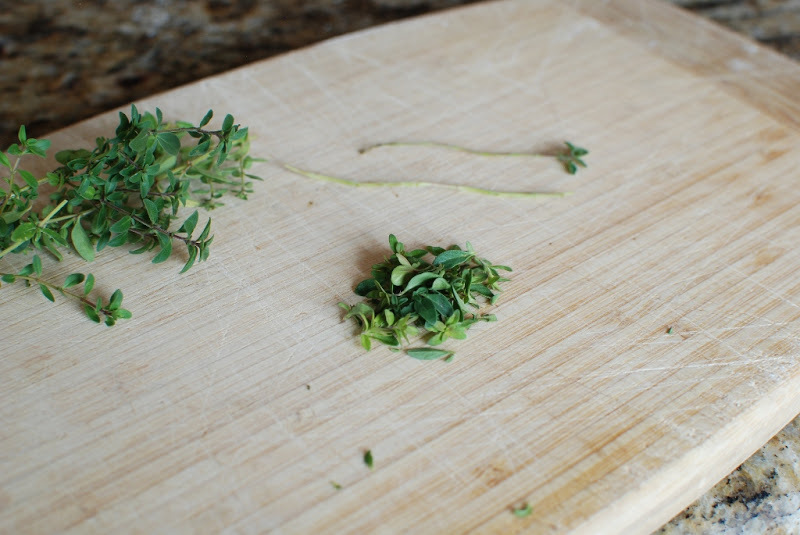 seeds. 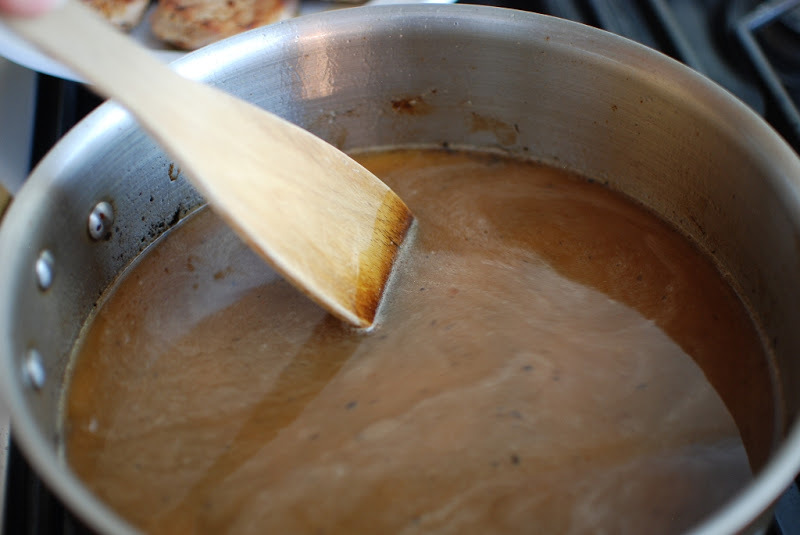 Boil until reduced by half, about 4 minutes. You are half way around the world and I'm so glad you found my blog. Thank you so much for your kind comment. Blessings to you. I made this dish last week and good GOLLY was it delish! 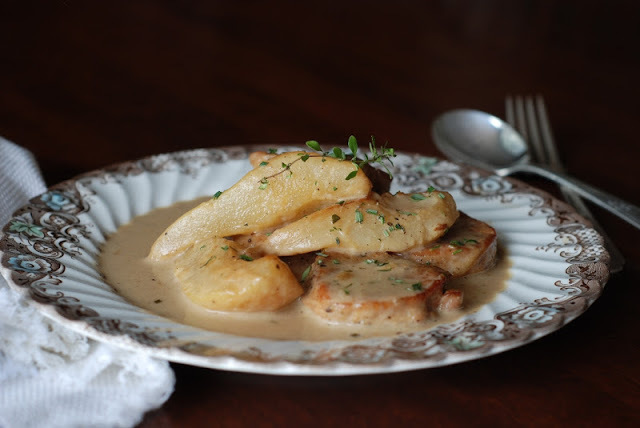 Thanks for a superb and oh so easy recipe that makes for an elegant dinner! I know! Super simply and looks super fancy. Thank you for letting me know of your success and for commenting. You just made my day. 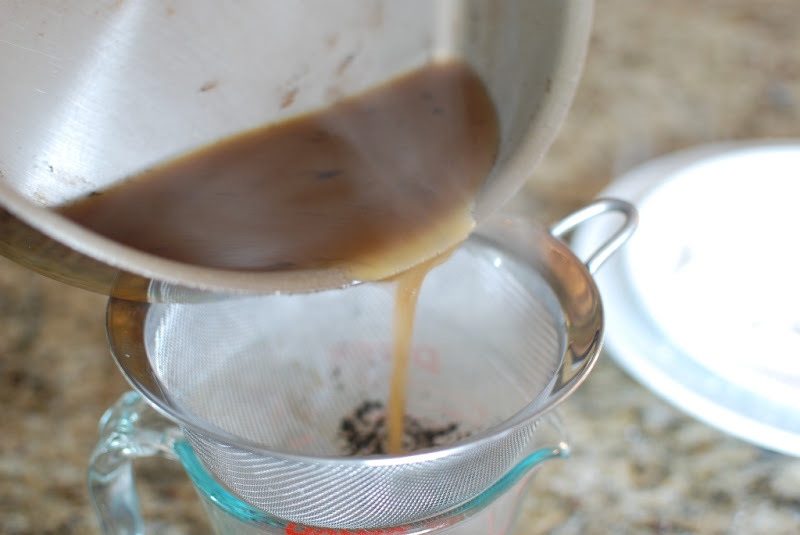 For a good price on vanilla beans, I found out I could get a dozen or so for only 6.99 in the home brewing section at the liquor store. 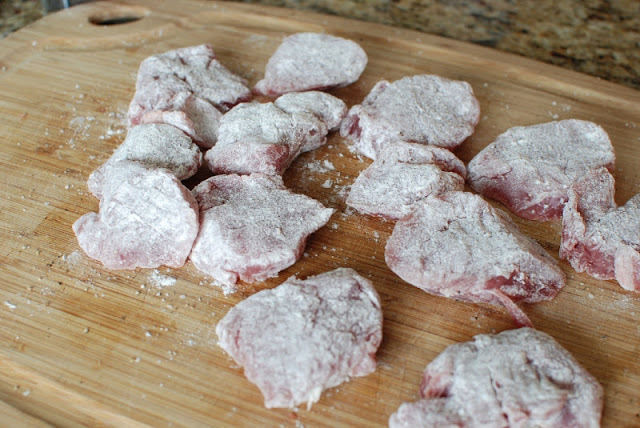 Worked for me since I don't have anyone to bring them to me from Tahiti. Great recipe. Thanks. 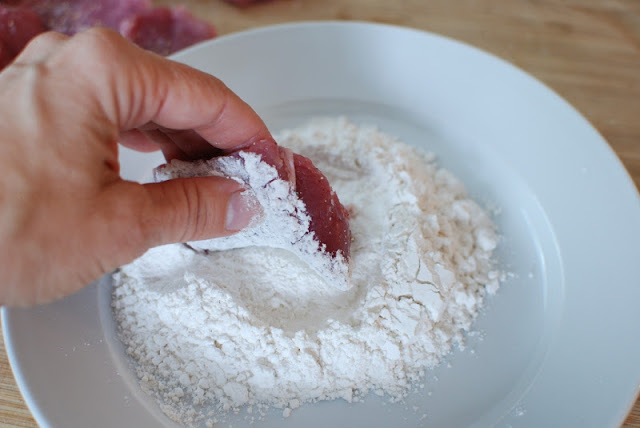 I just discovered your blog and am planning to try this recipe. 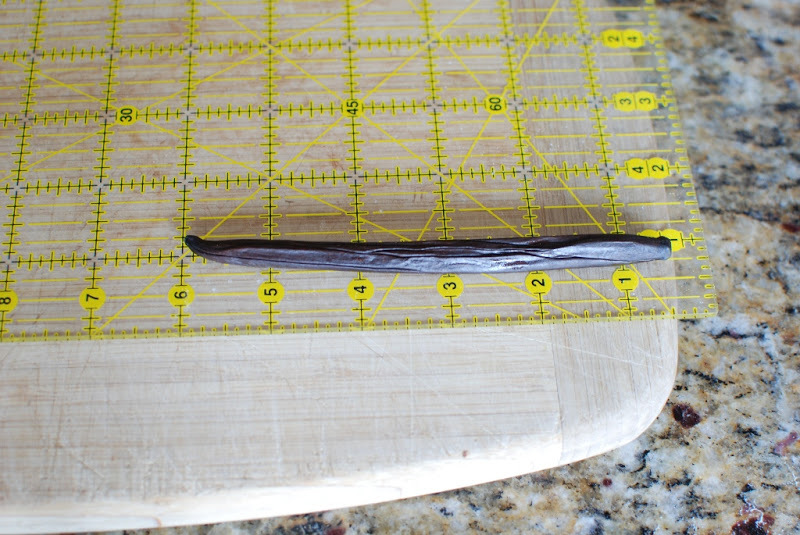 The ruler you used to measure the vanilla bean looks familiar. Are you a quilter? Hi Maureen, You must be a quilter to notice that the ruler should be used for quilting. My grandmother, who was an amazing quilter, gave it to me. I used to do a bit of quilting, but sadly the ruler gets used more in my kitchen that in my sewing room. Thank you for your comment. I love to hear from everyone. What a fabulous compliment from Barcelona. My daughters have been to Barcelona and absolutely LOVED it! 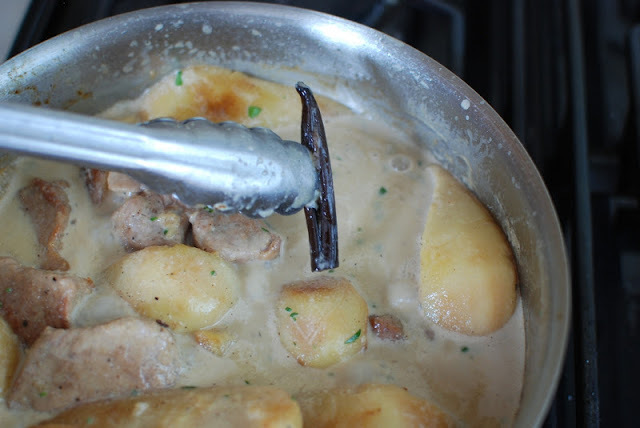 I just always assume anyone from Europe, especially Spain, are already amazing cooks. Thank you so much. I hope you continue to follow me. 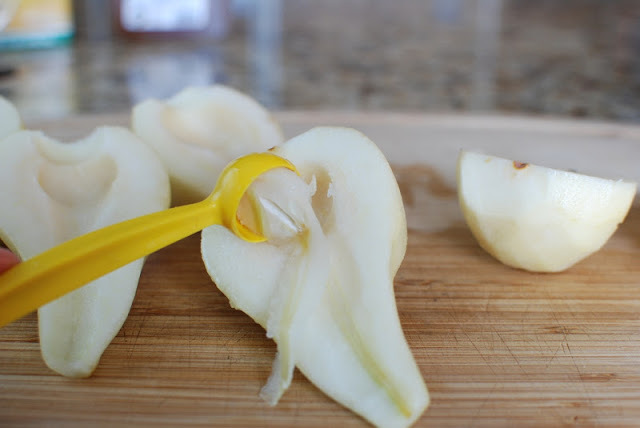 I love cooking with cider, but I've never done pears and cider – looks amazing! I hope you try it and love it like I do. Hahaha. Thanks for your comment. Made my day. I'm so happy to have you addicted to my blog. That just makes my day. I'll do my best to keep it up and often. Thank you for your comment.